I come from a big family; my father has 12 siblings and I have 50 cousins, some of whom already have children. Several buses have to be hired to ferry all of us during family outings. For seating requirements at parties and reunions, we’ve decided that buying is better than renting. 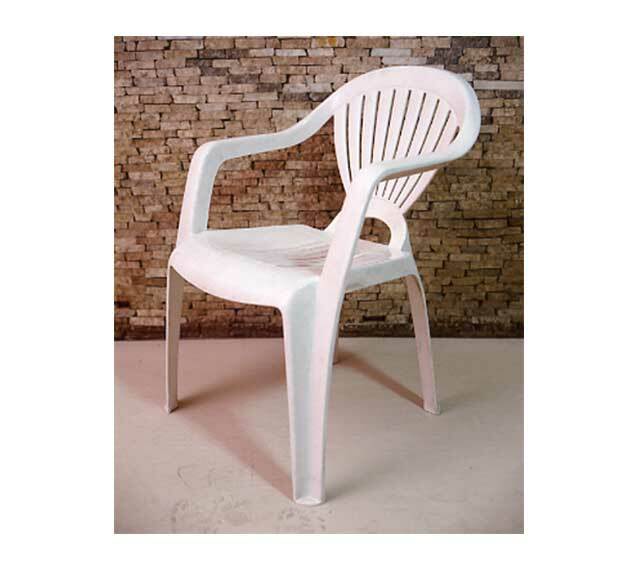 So in recent years, quite a bit of our money has been spent on stackable plastic furniture, what we commonly know as the Monoblock. Everything is there in my grandmother’s house, stacked and kept in the dirty kitchen, well away from the hardwood furniture and the comfy upholstered ‘60s sala set, taken out only for familial gatherings. That’s how I have always thought of Monoblocks, furniture largely kept to be hidden, brought out only when there is food and gossip enough to divert everyone’s attention that they are seated on plastic. Then during the pictorial of this story, I had an epiphany. As maybe you will, too, looking at how good the stuff was used for these pictures. 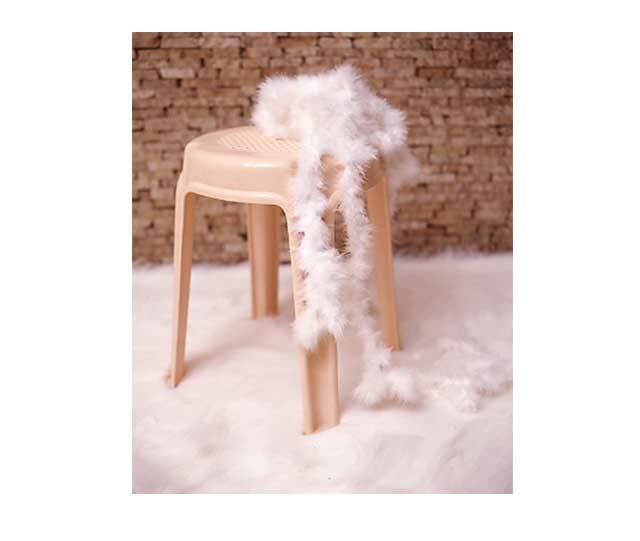 With a shag rug and a chandelier nearby, a bistro chair can actually make you go “Wow!” Maybe this is another reason plastic is called the material of the 21st Century. And maybe it’s time we explored Monoblock’s other possibilities. This is the most affordable Monoblock piece, and it is stackable. However, it carries the least weight, so don’t stand on it. A classic Monoblock that is a favorite in restaurants and cafes. It is stackable, and since it doesn’t have armrests, occupies very little space. The size and shape is for lounging. The backrest, however, doesn’t give full support, so extended seating may not be as comfortable. 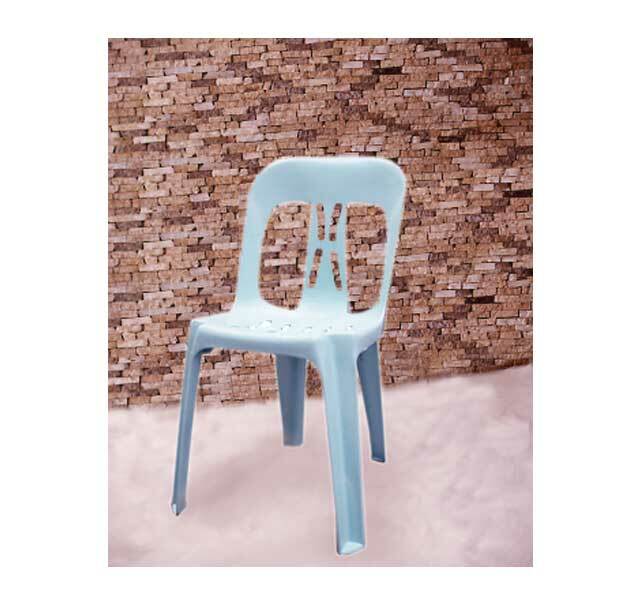 This type of backrest gives you full back support; however, the arms may occupy more space. Monoblock can mean elegance, too. 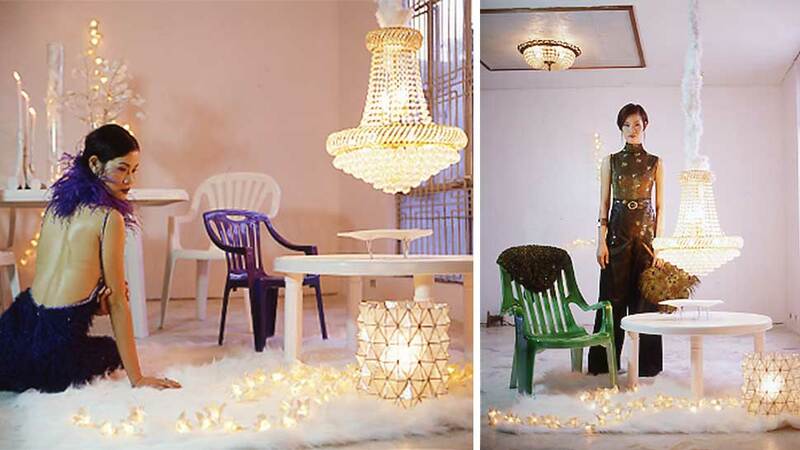 Create an arresting monochromatic setting by having your furniture all in one color (above). Jazz up the area with accents with a bit of textures, glitter, and shine. Be inspired by the Sixties and use contrast. If you’re going for very vibrant colors, limit it to a combination of three, then decorate sparingly. Geometric patterns on curtains and rugs will work best here. Use a dark-colored Monoblock (like maroon or dark green), and then go for funky elements, like leather and acrylic accessories. 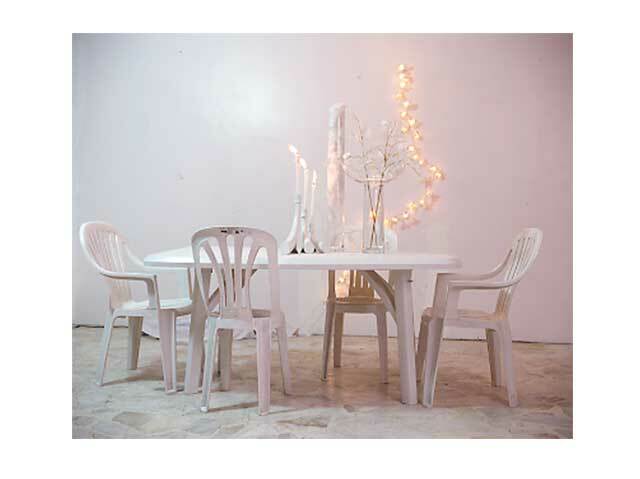 This look can be achieved with light-colored Monoblock furniture, like white or mint green. For curtains and tablecloths, use dainty prints, eyelet, or lace. Decorate with flowers and ceramics. 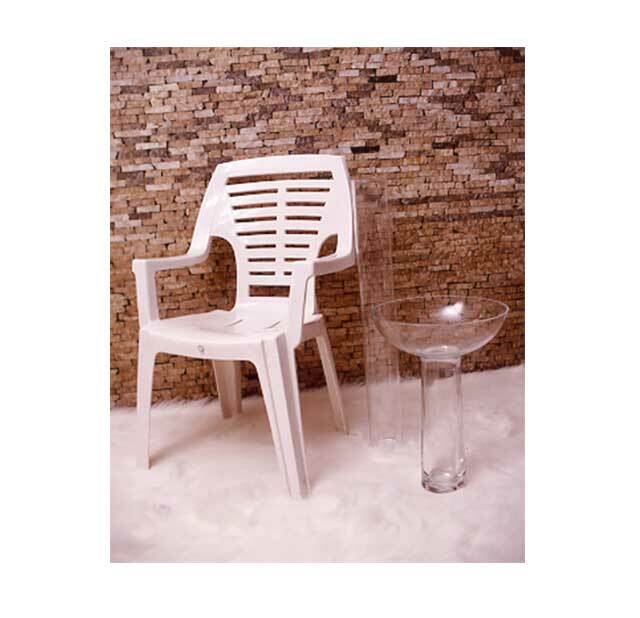 One of the reasons why we consider this story—which was published in the May 2004 issue of Real Living magazine—groundbreaking: it was the first time RL used a simple plastic chair and elevated it into a style and décor shoot. As part of our celebration of Real Living’s 15th Anniversary, we will be publishing select articles that have molded RL throughout the years.